This Sunday, 13th July, we are holding a bracken bash. Quite apart from making walking difficult, bracken also chokes wild flowers and can knock down young saplings so it’s an important job. the beauty of bracken bashing is that you do not need any skill to do it – just a stick and the ability to hit things. 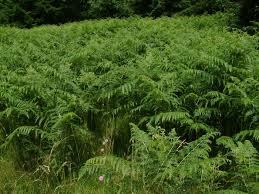 Afterwards we are holding a barbecue for those who want to stay, having worked up an appetite smacking bracken. We are meeting at the log circle at 10.00 am but feel free to join us any time between then and 1.00pm when we will be having the barbecue.